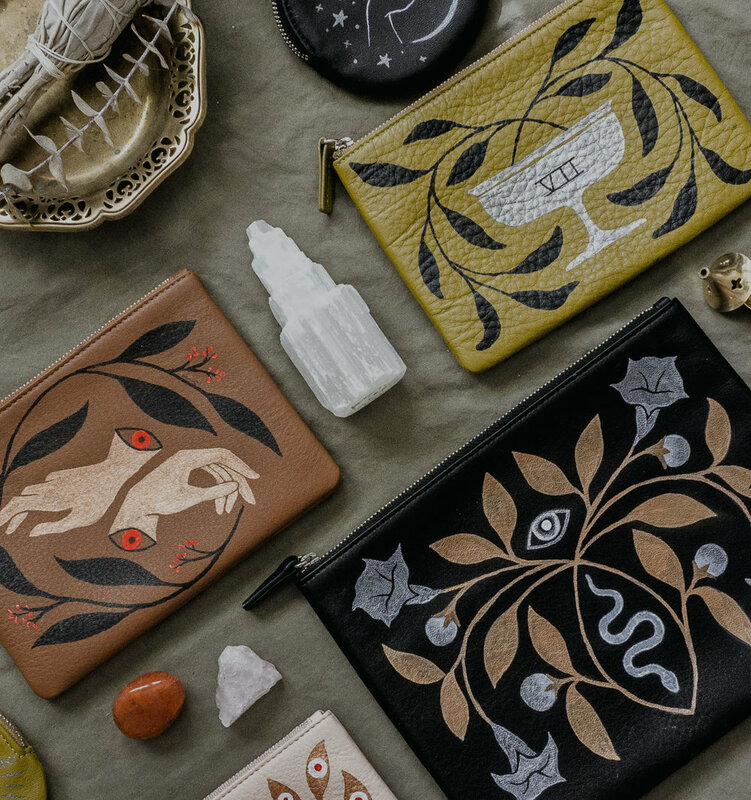 A designer polished in the digital space, Heather’s hand-painted clothing, accessories and tapestries combine ancient symbols, emblemata, flora and fauna in precision compositions that reflect a longing for magic in a modern age. Choose from house designs, ready to paint on your favoritejacket, or commission the one-of-a-kind custom piece of your dreams. Shop made-to-order clutches and pouches, homewares and journals, ready to ship in 2-3 weeks. Experiments and one-offs; extremely limited quantities available. Sign up for studio updates, sneak peeks of upcoming products and occasional surprises.